RHDAustralia is proud to announce the launch of the official RHDAustralia Champions4change program. 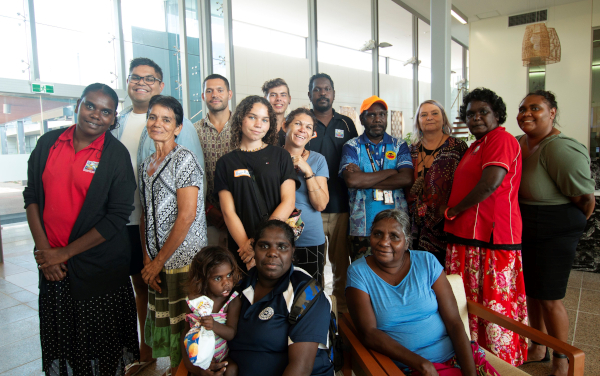 The Champions4change program was designed and developed by community members affected by acute rheumatic fever (ARF) and rheumatic heart disease (RHD). Champions may be people with ARF or RHD, or someone caring for them. They come from across the country and play many roles in their communities. 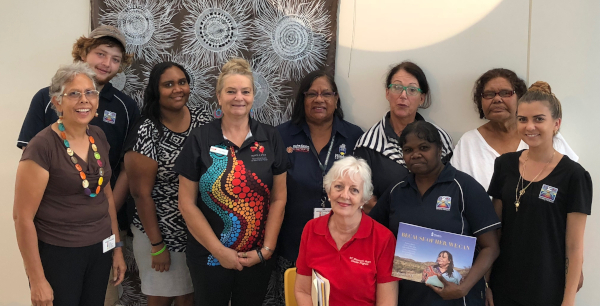 They are mums, dads, grandparents, siblings and friends, Aboriginal health workers and practitioners, nurses and carers. They’re leaders in their community who are concerned and want to prevent ARF and RHD in young people. Champions can be anyone who wants to advocate for change, to raise awareness, and to start conversations about how we can prevent ARF and RHD in our country’s children and young people. The Champions all have their individual life story from where they draw strength to inform the priorities that guide the champion program. They are advocates and help others take action with motivation, leadership and compassion. The Champions share and translate the meaning of health from their perspective into ways that help service providers understand what and how those living with ARF and RHD are feeling and thinking. This two-way or trans cultural learning benefits the community and the health service. At its core, the Champions4change program is about empowering individuals and communities through localised initiatives driven by community members. RHDAustralia’s role is to support Champions as they facilitate activities at the local level. RHDAustralia can assist individuals and communities to find localised strategies for understanding, preventing and managing ARF and RHD. 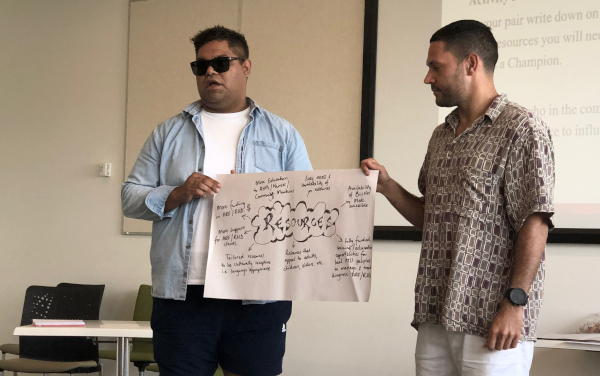 The most important aspect of the Champions4change program, is that from the very beginning, there's been strong Aboriginal leadership and input from people coming from several different communities with varied experiences. RHDA will be facilitating and supporting these individuals to ensure they are well equipped to implement their own programs. Despite the high rates of this disease in communities, Aboriginal and Torres Strait Islander peoples are not getting the critical health care that is needed. The Champions, with a lived experience of ARF and or RHD, can provide first-hand experience of navigating the health system. This helps to build meaningful and ongoing relationships between communities and health services. Champions are also in a unique position to provide emotional and social support and education to individuals and families in their own communities. Some of our Champions have prior leadership roles in their community while others have identified the desire to become leaders and support community members. Along with developing the next generation of leaders, there’s also recognition of the important role elders play in the program. If the Champions feel they need a little more cultural knowledge and authority they are linked with an elder to discuss their experiences, challenges and possible solutions. Linking the younger ones with an elder provides the opportunity for ongoing leadership development. It is very important to acknowledge and nurture Aboriginal leadership at all levels. We will be using the hashtag #Champions4change to let others around Australia know about the program and help people and families with ARF and RHD find the support they need. 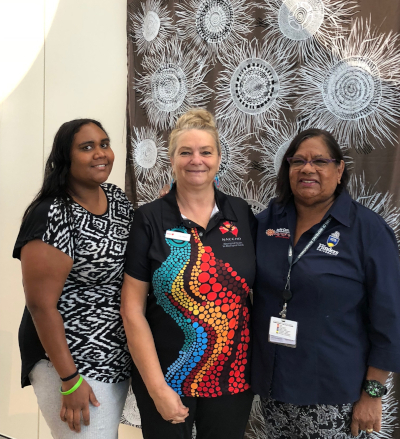 Speaking at the National Rural Health Conference (25 March 2019), Dr Bo Remenyi said of the program, “Indigenous leadership and voices are being created and supported by RHDAustralia Champions4Change program”.